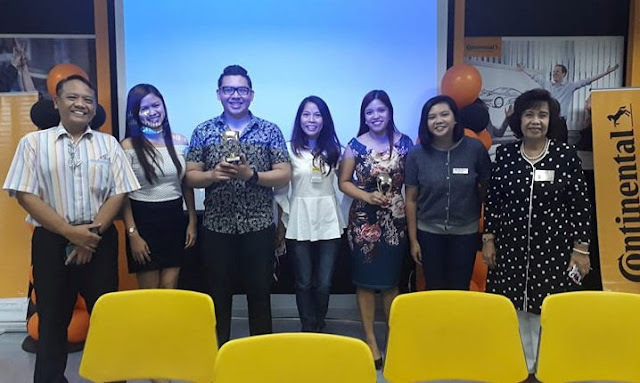 Following BF Community TMC's wins in the recently concluded Joint Area Contest, club members Duchess, Cristina and Russell advanced and saw action in today's Division H Contest held at Continental Manila Toastmasters Club in Taguig. Shown below are the delegates from BFComm (L-R) after the awarding: Me, Dolly, Russell, Cristina, Duchess, Leah and Rema. Not shown above is Ching, the contest chair for the International Prepared Speech category. Here are the videos of the three Table Topics Contestants for Division H 2017-2018 at Continental in Taguig. The contestants all advanced from the Joint Area Table Topics Contest. The videos are ordered in the sequence the contestants answered the Table Topics question. The question was: "If you could trade places with your parents for a day, what would you do differently?" Contest chair for this category was ACT's Lolet de los Reyes. Here are the videos of the three International Prepared Speech Contestants for Division H 2017-2018 at Continental in Taguig. The contestants all advanced from the Joint Area International Prepared Speech Contest.